Pau Gasol denied he asked the San Antonio Spurs to trade him before the NBA deadline. 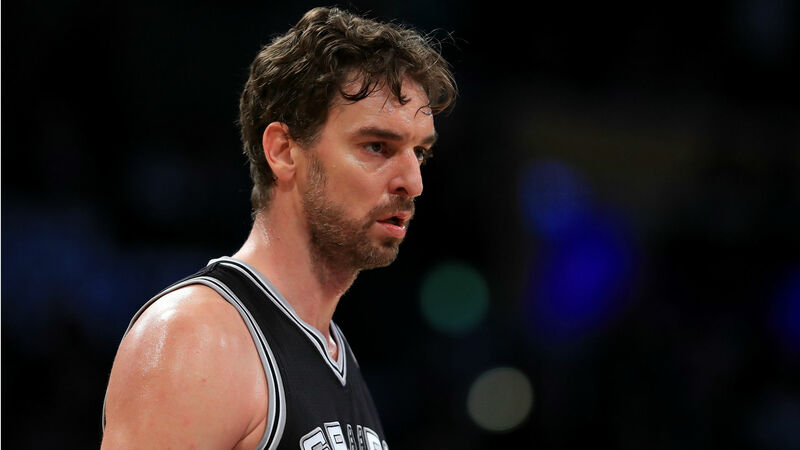 Reports surfaced earlier this month that said Spanish veteran and two-time champion Gasol requested to be moved on by the Spurs. Gasol - whose younger brother Marc was traded to the Toronto Raptors from the Memphis Grizzlies - dismissed those reports. "I didn't request to be traded," Gasol said on Tuesday. "It's not that I want to comment so much on it because it is what it is. I think people understand or can figure out that my situation is not what was expected for me. "My only wish and desire is to be able to contribute to the team and be able to be on the floor and do what I am supposed to do and do what I signed here to do, and kind of live up to what I am paid for." The six-time All-Star is averaging career-lows in points (4.4), rebounds (4.7) and minutes (12.5) per game over his 26 appearances in 2018-19. Gasol has one season remaining on the three-year, $48million contract he signed with San Antonio in July 2017. The 38-year-old was asked Tuesday if he was seeking a buyout. "There are a lot of rumours, a lot of stories," Gasol said. "Who knows where that comes from. It would be great if people say, 'hey, this person has said this.' OK, then let's talk to this person...But I don't know. It didn't come from me."